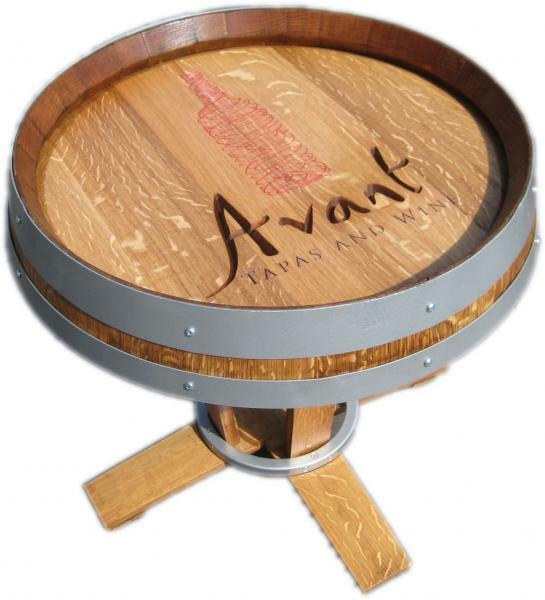 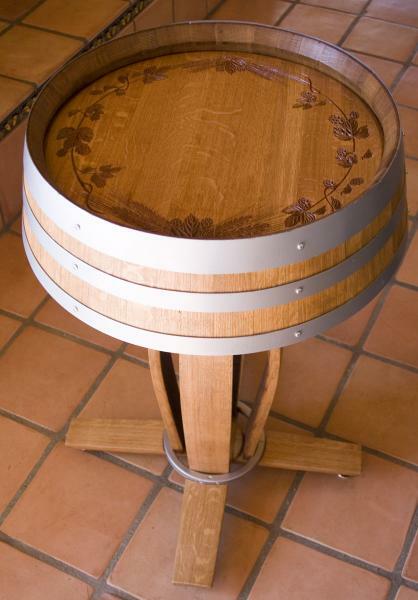 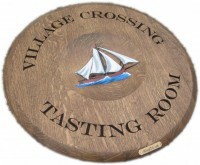 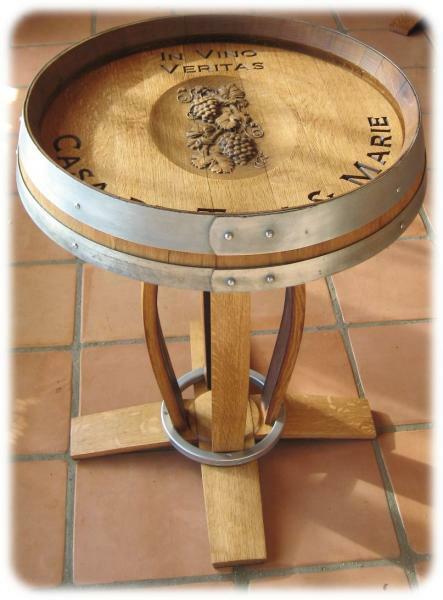 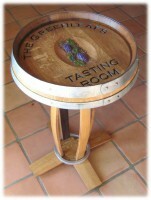 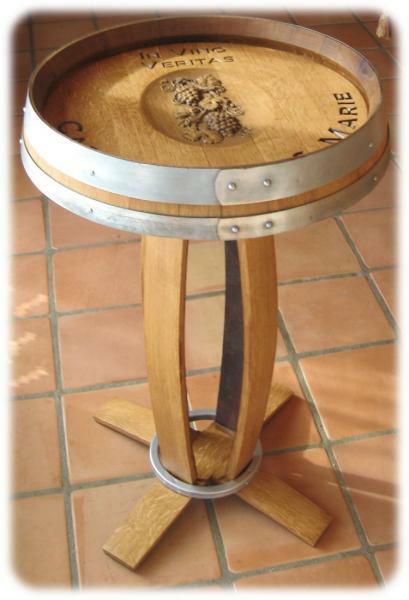 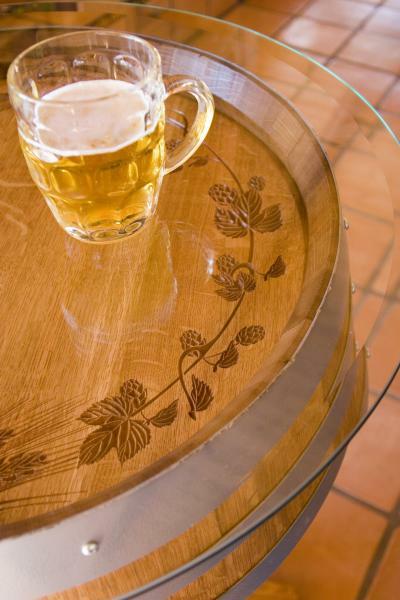 Our beautiful, sturdy, unique bistro tables (aka tasting tables) are a great addition to any wine oriented business or perfect for any corner of your home. 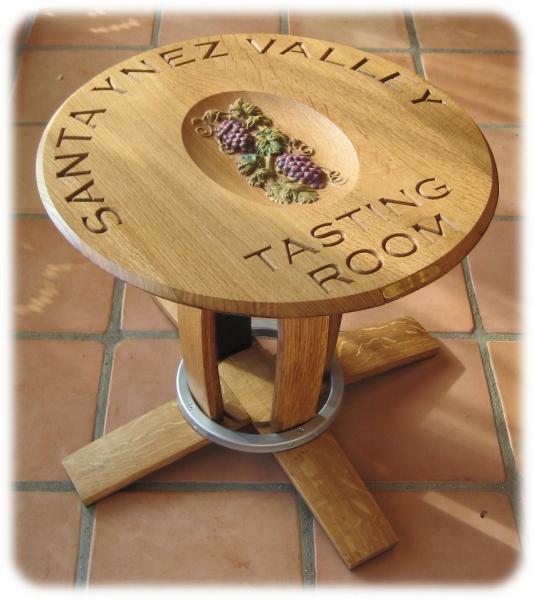 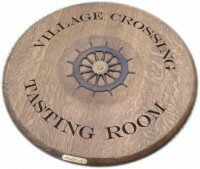 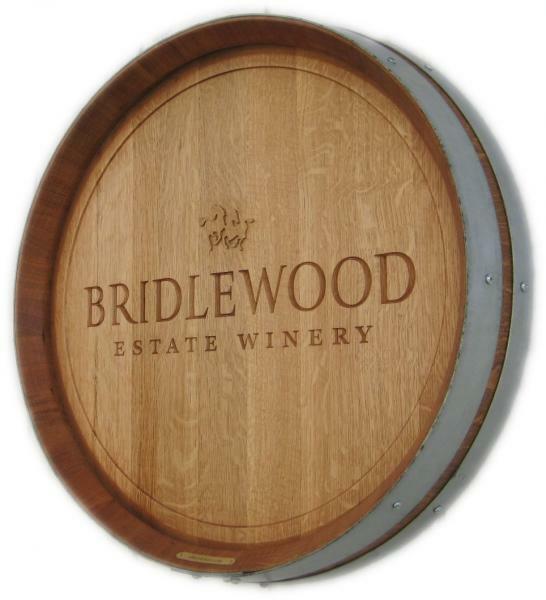 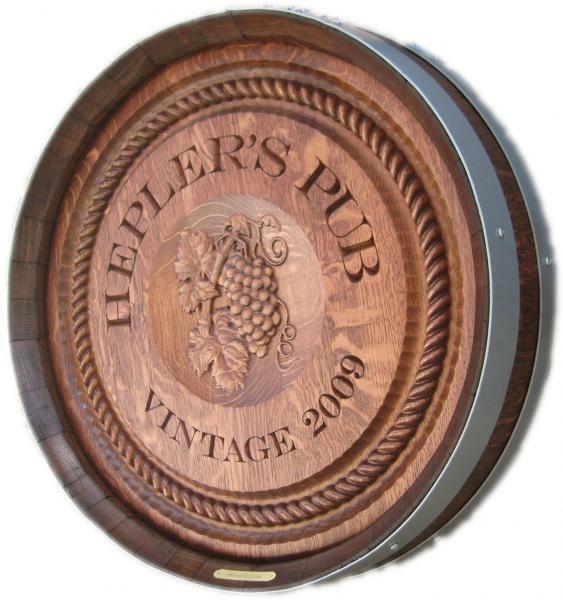 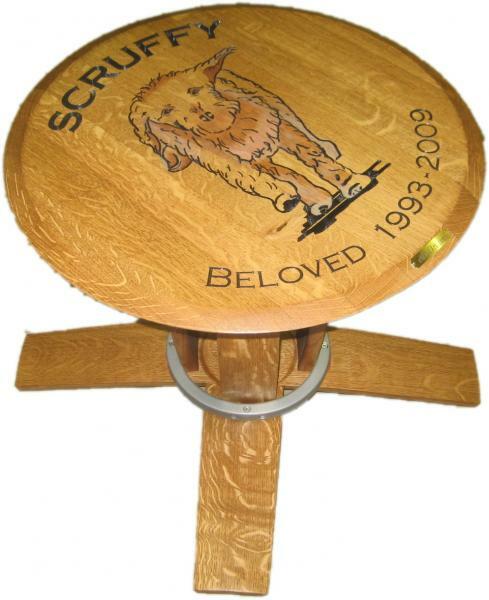 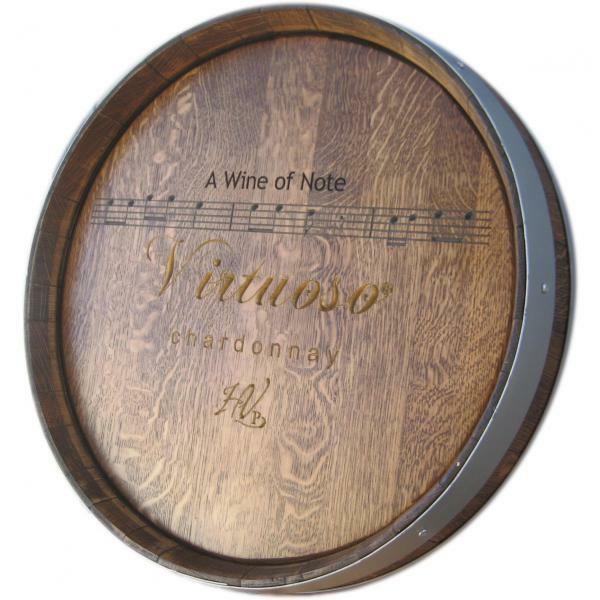 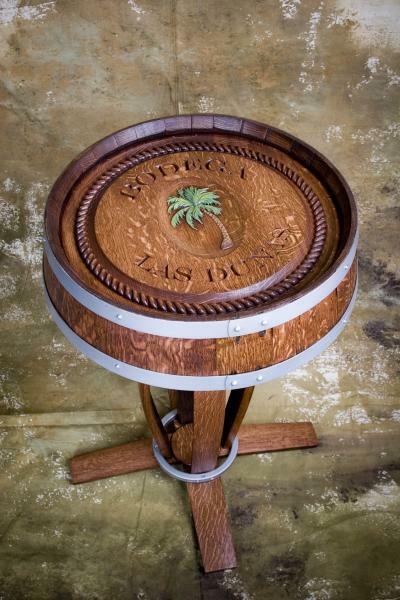 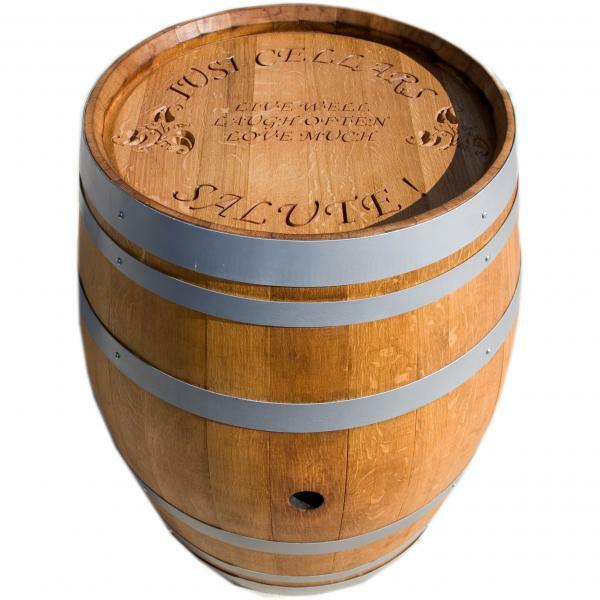 Your custom designed wine barrel head carving can be mounted on table stand options including 3 different height stands made from carefully selected and matched barrel staves, with your choice of finish for great looks. 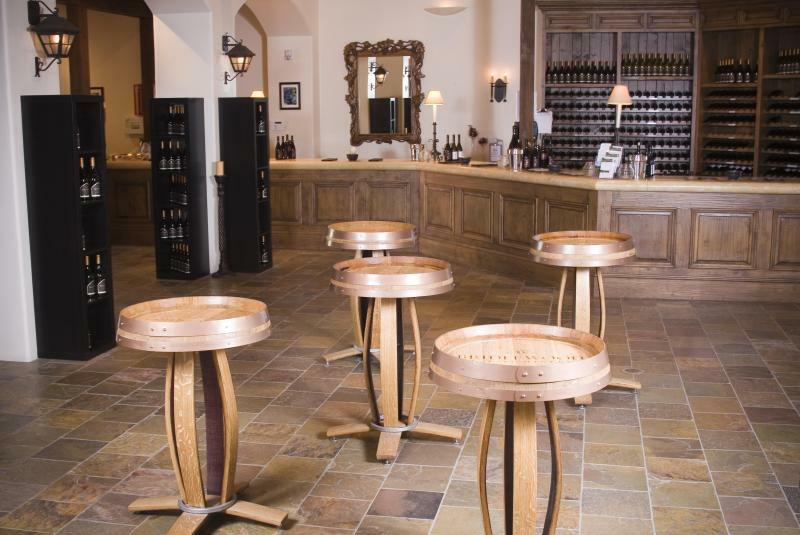 The oak staves on our barrel stave stands are thoroughly cleaned & sanded to remove stains and blemishes, then stained and lacquered for a very high quality, fine-furniture finish. 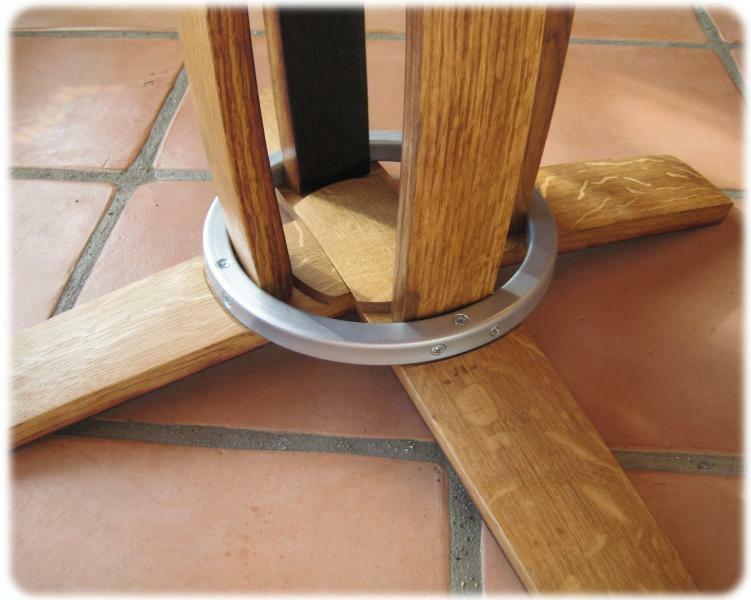 Table tops and stands are ordered separately. 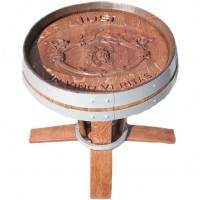 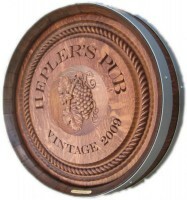 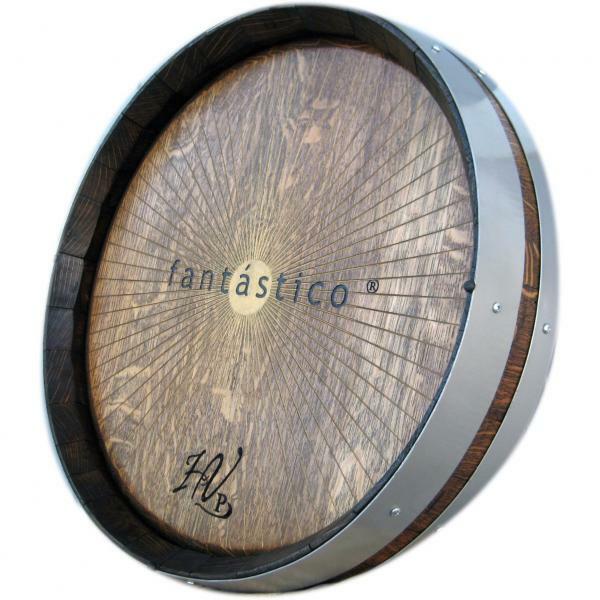 You can also easily mount our barrel head tops on any stand from another source. 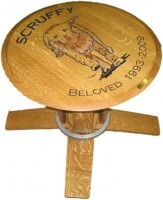 Click any image for more detailed view, description and testimonial.